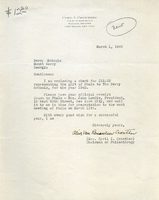 In this letter Mrs. Crowther sends The Berry Schools a check for $12.20 representing the gift of the Phalo. 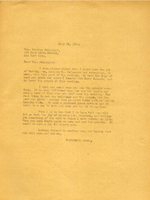 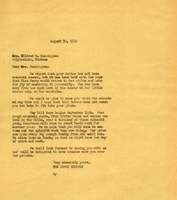 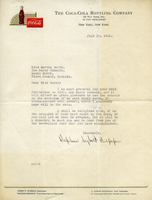 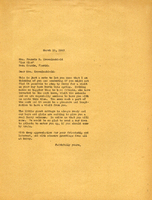 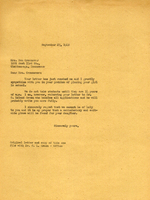 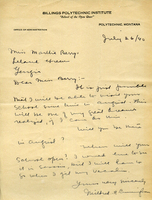 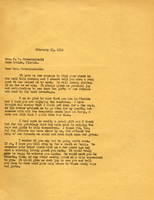 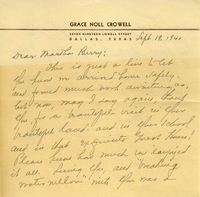 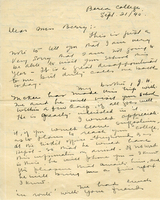 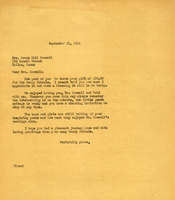 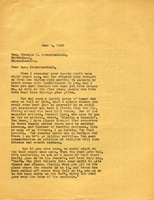 Martha Berry is replying to a letter from Ben Crownover, stating that they do not normally accept girls under 14 years old, but will send his inquiry to Leland Green, who will provide more details. 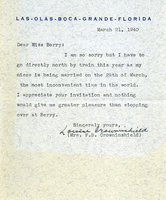 An acknowledgement letter to Mrs. F. B. Crowninshield for her gift to the schools, and inviting her to visit if coming north from Florida.